This month we dive into the sport of basketball, in the fourth installment of our “College Coach’s Perspective” blog series. 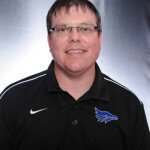 Our first interview was conducted with Shawn Reed, head women’s basketball coach at Tabor College in Hillsboro, KS. In the fifth season as Tabor’s head coach, Reed boasts a 69-55 overall record, and has finished as one the top 3 teams with the best record in the KCAC conference over the past three seasons. Two years ago, the women’s team finished the year with a 13-5 record and won the KCAC Conference Tournament. Last year, Shawn led the Bluejays to a KCAC regular season conference title, finishing the year with a 21-13 record and helping his team advance to the elite eight in the NAIA National Tournament. 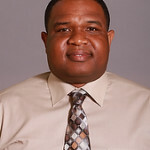 After coach Reed, we were then able to interview head women’s basketball coach Bruce Tate of Ottawa University (Ottawa, KS). Tate has been a coach at Ottawa for 18 years, with 9 of those as the head coach. For thirteen straight seasons, the Braves have qualified for the KCAC Tournament. Last season, Tate helped the Braves finish with an overall record of 15-14, and had three players earn All-KCAC honors. “We recommend the full game film of a recruit if possible. If the player has some potential, usually we will watch most of their full game of footage that they give us. By the end of the first quarter, we can usually tell what level of play that player would be able to compete at. The full game footage also makes it easier to watch the skills of out-of-state kids.